In but the latest after an insane month of news featuring the kingdom since the murder of journalist Jamal Khashoggi, the AP reports Saudi Crown Prince Mohammed bin Salman laid the ceremonial foundation stone for Saudi Arabia's first nuclear research reactor on Monday. 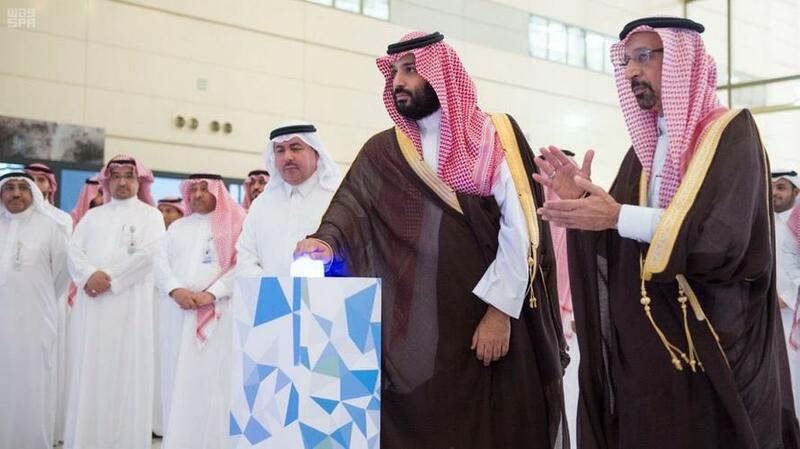 No doubt the symbolism of MbS laying the foundation stone for the kingdom's first nuclear reactor on the very day aggressive sanctions on Iran snapped back will not be lost of Tehran. Given the timing it appears the Saudis were positively celebrating the sanctions and even provoking Iran. All of this means that the nuclear arms race between Iran and Saudi Arabia is officially on, even as much of the Middle East and the world is spotlighting the crimes of both. However, it will likely come slowly at first and under the guise of "peaceful" energy development of a "research" nature. Meanwhile Iran has long claimed its own nuclear initiatives were purely to pursue energy needs much like the Gulf countries are seeking to diversify away from sole reliance on oil and gas. While the West has always refused to take Tehran's word for it, it will be interesting to see if there's any eventual shift in opinion concerning the Saudis' pursuit of large reactors given the current scrutiny over the kingdom's dismal human rights record in the wake of the Khashoggi affair.